Thad Blanchard is an up and coming actor. Bisexual but not out, Thad's at loose ends after finishing a movie. At a party, he stumbles into art gallery owner, Devon Bryant, and an attraction flares between them. What seems likely to be a casual hook-up at first, begins to show signs of something more. But there are a lot of roadblocks in the way, manipulative co-workers, Thad's career, travel and work. Thad's newest role is turning into a health nightmare. With Devon out of the country again, there's no one to notice. Actor Thad Blanchard's romance with art gallery owner Devon Bryant is going well. He's moved into Devon's loft and they've managed to keep it together despite the odd hours and long distances that are the inherent to Thad's career. He's lost a few roles to the news that he's living with his male lover but he's done hiding such an important part of his life. Thad's only real problem right now is a stalker, one who doesn't like Devon's role in his life. The stalker seems to be able to get disturbingly close to both Thad and Devon. When Devon is drugged and assaulted, they have to think that the stalker and the assault are connected. But because of the effects of the rohypnol, Devon's can't remember what happened. Both men have to deal with what might have happened and that they might never actually know what happened to Devon. In the meantime, how close will the stalker get? It's Christmas time and Ben Sullivan is having problems getting his boyfriend, Tyler Czuba, to commit to a holiday schedule. Tyler has finally come out to his SWAT team and his relationship with Ben is now out in the open. Tyler has always worked on Christmas and doesn't seem willing to compromise this year either. When Tyler ends up on desk duty, Ben thinks that maybe that family Christmas will work out after all. But Tyler explodes over the issue. Suddenly, Ben has to wonder if their relationship will even survive the holidays at all. Neal's a young, handsome rookie cop dealing with all the pressures that being the new guy in a high stress job entails. Dani's a cop who's been on the job awhile. Dani's got a soft heart with a more than a little rebel hidden under her Valkyrie-sized uniform. She's been watching Neal's tension level rise. She thinks she may have a way to help Neal out and her husband, Finn, is on board with the idea. A simple dinner to check out the dynamics slides into an unconventional friends with benefits situation that satisfies them all. 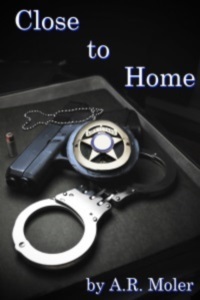 But life as a cop can have its dangers, and sometimes, trouble and pain can aggravate old emotional wounds. How much comfort will Dani and Finn be willing to provide? Sometimes, inevitably, life hits a snag. What if love turns up at the same time? Aidan Sterling's life has hit one of those moments-the times when things might just change whether he wants it to or not. Outside of the inherent paranoia of his active career in covert ops, he's recovering from some serious physical and emotional trauma from a mission gone disastrously wrong. 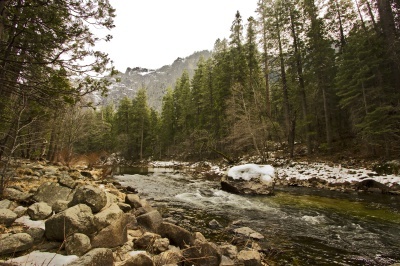 His bosses aren't sure if he's up to returning to active fieldwork---and neither is he. And Kris Jameson is the kind of guy who'll take the time to understand and care about Aiden. He's a regular guy with a large heart. Kris is a carpenter and a part-time bouncer, easy going and hardworking. 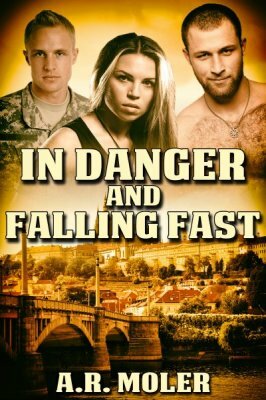 But not all danger can be found overseas, and nice guys aren't always safe even here at home. Deep cover DEA agent Landon Cross can't seem to escape his past. First, his cover is blown by a guy he'd busted in another operation. Then, his rescuer is medic Trey Jernigan, his best childhood friend, first love, and a person Landon betrayed as a teenager. Now Landon's life is a mess and so is he, physically and emotionally. 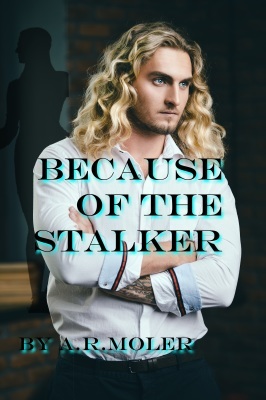 Incredibly, Trey forgives Landon and allows his former friend back into his life in all kinds of ways Landon would never have thought possible. It's not easy being blue -- a cop -- that is, not a good one anyway. Scott Hedrich and Mark Stenner have had each other's backs a long time. Best friends, they've supported each other through girlfriends, marriages, divorces, promotions, the various ups and downs and dangers of their job, including the terrorist attack on DC. Somewhere along the way, their friendship turned into something more. Twenty-three years later and they've finally come to recognize what's been the truth all along. They belong together. It's time for a wedding! Chris Kearney is a surgeon working the Emergency Room at a large hospital near the bad part of the city. After operating on and losing a teenaged patient, he runs into Drew Hayden, an undercover vice cop. Connecting over a kid who tried to get out of gang lifestyle and still died, the two men check each other out. When they run into each other at the grocery store, they are more than happy to reconnect and pleased to find that neither of them had read the signals wrong. 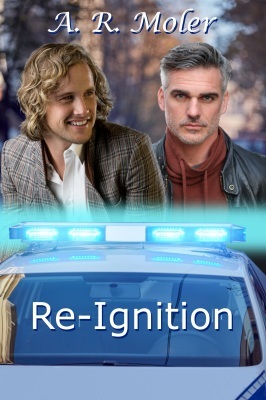 It's hard for a cop and a doctor, especially an undercover cop and an emergency room doctor, to find time to meet, date and do all the other things a burgeoning relationship requires, but somehow Chris and Drew manage. Their lives are full and sometimes difficult. Will they get through the traumas and troubles of the first year and a half of their relationship? And, when they get there, what will the other side look like? Cop Drew Hayden and ER trauma surgeon Chris Kearney have it all, mostly. They are married, have a house with a fence and a yard that needs some attention. The thing that they don't have enough of is time for each other. Drew's career as an undercover cop working gangs and drugs is successful. So successful that Drew's about to go undercover for more than a month without being able to contact Chris at all during what may be a very dangerous operation. Chris is always wound very tightly. Without Drew's calm as a counterbalance, Chris is in danger of falling over. Then, after what is almost Chris's worst nightmare, Chris has to confront the reality of Drew's job. So does Drew; he can't ignore what his current job asks of Chris either. 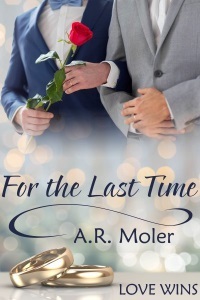 Can they change things enough to keep the most important thing--their love for each other? Previously released as "Drowning in You"
Matt Pulaski and Declan Foster are DEA agents in San Diego. When Declan nearly dies during a raid, Matt volunteers to keep an eye on his adrenalin junkie partner. 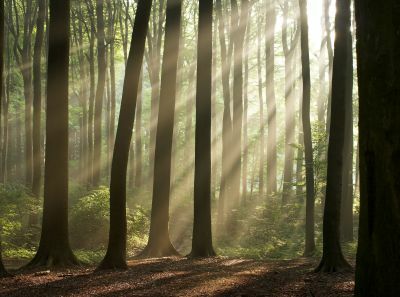 Declan's near death experience causes him to reevaluate his life. In his bucket list are some urges that he's been suppressing. Fortunately, Matt is willing to help. Declan's newly recognized feelings come as a surprise, and he's pretty confused. Being a DEA agent is no walk in the park. Danger is always around the corner and bigotry doesn't tend to be too far away even if things are changing. Mike Rousseau works for Navy Intelligence. Kurt Halstead is a Sr. Chief Petty Officer and a SEAL. Maggie Degginger is an agent for Homeland Security. Mike and Maggie meet during an operation. The resulting heat is scorching but brief. Shortly thereafter, Mike and Kurt are assigned to be working partners. Then life throws them a curveball. Mike gets seriously hurt. Mike and Kurt finally give in to their attraction. Kurt is double-crossed in-country and gets left behind, wounded. He manages to let Mike know that their chain of command is compromised. Mike needs help and reaches out to someone he knows in Homeland, who in turn assigns Maggie. One rescue mission, in progress. Traitors aside, it's not that Kurt doesn't know about Mike's pre-Kurt fling with Maggie. He does. So when the three of them get together, the heat is so high; they all three just might burn. Mike, Maggie, and Kurt explore the reality of their new relationships in every aspect of their lives. On the professional side, while Mike is benched to a desk job because of his seizures, Maggie and Kurt have to deal with the new boss. A field assignment comes Maggie and Kurt's way. As they all know, sometimes bad things happen when agents are out on assignment. Meanwhile, Mike's stuck waiting at home. Mike and Kurt love each other. Mike's stuck on Maggie, and Kurt's quickly falling Maggie's way, too. Field agents aren't supposed to be in love. Kurt and Mike managed to negotiate that before, but now it's Kurt and Maggie out there taking risks. The future could be even more complicated. There's marriage and kids and jobs ... how will the trio begin to work it out? 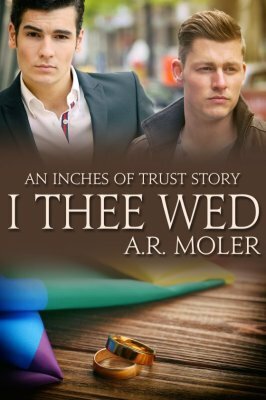 When architect Brian Townsend meets a man dressed as Zorro at a Halloween party it seems like a chance hookup, but Brian is attracted and it takes more effort then he originally thought just to find out the man's name. NYPD homicide detective Tristan Blake, comes from old money, which he loathes and an idealistic streak burns within him to do a job that serves a purpose. 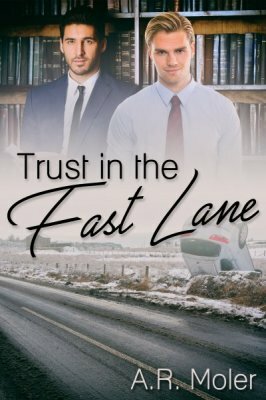 A previous lover scorned him as a time when he was most vulnerable, after the death of friend, and Tristan is slow to trust what appears to a developing relationship between him and Brian. Beer tasting, a broken window, a fall down a flight of stairs, a grenade and a violent attack on Brian, what do these all have in common? 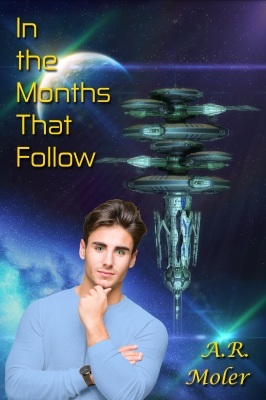 Each one brings Tristan an inch closer to trusting Brian with his heart. Architect Brian Townsend and his fiancé Tristan Blake have a Halloween party to go to. Brian's friend Alicia throws one every year. In fact, Brian and Tristan met at this same party the year before. This year they are engaged and planning their wedding. Everything should be coming up roses ... except that Tristan's family still has issues. They'd rather Tristan wasn't gay, and if he can't manage that, then they'd rather he not get married at all. Well, everything can't be perfect. Can their friends and chosen family help fill in the holes left by bigots and bad family behavior? 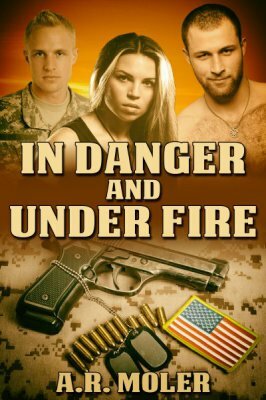 When Sebastian Langham, Delta Force operative, is seriously hurt on the job, his team is shocked to discover that he's married. His husband, Chief Petty Officer and Navy SEAL Rafael Silva, currently assigned to DEVGRU, as next of kin, must be summoned to his bedside. Life and death decisions have to be made. All the JSOC teams are close. So the fact that only Sebastian's commanding officer knew that he had married Rafe makes Basi's team members just a little suspicious and more than a little hurt. But Sebastian and Rafael didn't think that their relationship was anybody's business but their own. While he's waiting to hear about Basi's prognosis, Rafe finds himself both deflecting and explaining to Sebastian's teammates just how he and Basi got to this moment. He reflects on how their one-night stand turned to friends with benefits and then became a romance and a marriage. The revelation of Basi and Rafe's marriage will change their lives--if Basi lives. If he does live, what else will change? Dr. Ryan Bergstrom has offended somebody, but he has no idea who is so upset with him. Ryan is a gifted medical researcher working on a drug that could slow down the progression of Alzheimer's disease. 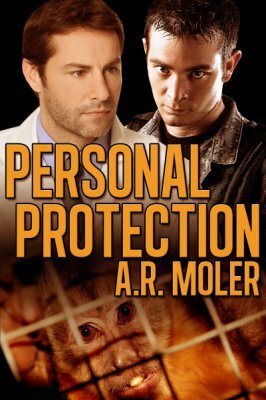 Death threats and nasty pranks mean that the medical research firm has hired a bodyguard to make sure their golden boy is protected from his stalker. Brendan Marek is an ex-Ranger currently working as private security. Ryan's attracted to his new bodyguard but sure that a military guy wouldn't be interested. But Marek is not a stereotype. Can they figure each other out while under siege? Griff Rieckert used to be an FBI agent, but that was nearly a year ago. A devastating injury in the line of duty has left him on the long slow road toward recovery, a recovery that will never allow him to return to the life he knew. A chance meeting with a gorgeous young pediatrician, named Sean Avery highlights the dark depression Griff is only just barely fighting. Sean's interest sparks a ray of light into Griff's dreary existence. But life intrudes and suddenly Sean's life is at stake when he is taken hostage in a hospital ER by a deranged and desperate gunman. Griff's previous life expertise is the deciding factor in getting Sean out alive.